Teaching is more than explaining and demonstrating... it is about engaging and inspiring. Teaching is an art, but it is also a science and a value-based practice. Paulo Freire's Pedagogy of the Oppressed (1968) and Lorenzo Milani's School of the People in Barbiana, Italy (1954) have been sources of inspiration to my teaching methods and values. My teaching is an expression of my own leadership to seek systemic changes through the development of value-based, competent, effective and engaged leaders for the common good. 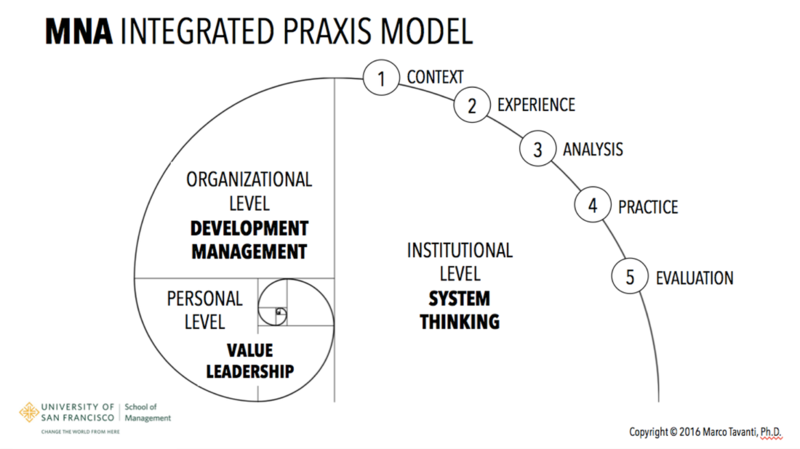 ENGAGED TRANSFORMATIONAL EDUCATION: The concept of "praxis" (the process of making theory into practice) is also inspiring for my teaching and learning methods that include personal accompaniment, professional quality, practical (pragmatic) applications and strategic thinking for systemic change. The values taught in my ethics courses, for example, are never in a vacuum or disconnected from practical decision making, organizational cases and institutional effective strategies. Hence, my teaching is an attempt to inspire globally engaged leaders (critical thinkers) while building professional capacity (international managerial skills) in people, organizations and institutions. The success of my teaching is ultimately measured by the inter-personal, inter-organizational and inter-national transformations that my students are capable of doing in their personal lives and professional careers. PROFESSIONAL LEADERSHIP DEVELOPMENT: My own professional practices, my background as practitioner, my engaged and participatory research and my passion with technology is what nurture and stimulate my own teaching capacity and innovation. I rarely teach the course with the same exact syllabus from a previous session. As real world practices and research evolve, so does my list of readings and resources, in-class or on-line exercises and assessment methods. Because I teach primarily to professional graduate students, my style of teaching is close to professional trainings, but not exactly so. I do not consider skill development the same as education that is merely centered upon critical thinking and critical analysis. My preoccupation in teaching is not just developing managers (doing things right) but in also educating leaders (doing the right thing). PRAXIS FOR GLOBAL ENGAGEMENT: My teaching philosophy goes beyond a teacher-content centered approach. It also goes beyond a student-success model of learning. Although my teaching attempts to balance content with participation, the aim is to develop value leaders and competent managers for the community. Hence, the class activities, project-based assignments and the overall methods for teaching and learning are embraced by the awareness and experience of being part of a local-global community. This expanding model of teaching, learning and understanding starts with value leadership development. It is applied into practical organizational management contexts and expanded into an international-global awareness for interconnectedness. I began teaching in universities in 1996. Teaching has been a journey and an ongoing discovery. I love to learn when I teach and honestly think that education is the key for developing socially responsible leaders and achieving sustainable and just societies. It is not easy to teach keeping these goals in mind. Sometimes, due to my own limits, little institutional support or unmotivated students, these gaps are large to overcome and the journey gets more complicated. Some other times not all students are in line with my community-centered and public service-driven teaching methods. I may not please everyone's expectation because my main goal is not to be liked but to create capacity and inspire engaged values. 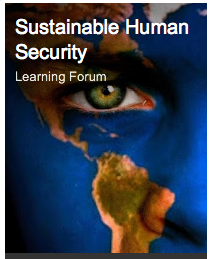 My teaching, not the subject matter, is about international societies, global leaders and cross-cultural relations. There are numerous studies that show the importance of moving away from a teacher-centered of teaching to a more student-centered style. However, I believe that students can benefit most when they are willing to take risks and journey together toward a greater good of the community. My students are neither objects or subjects, they are colleagues and we are all learning. This requires mutual respect and good degree of humility. This "socially-beneficial" type of teaching goes even beyond service learning or experiential models of teaching. It is about a third level that I call a community centered teaching style. Teaching cannot simply move from dependence to independence but arrive to a third stage that is interdependence (this journey is also true in international relations). 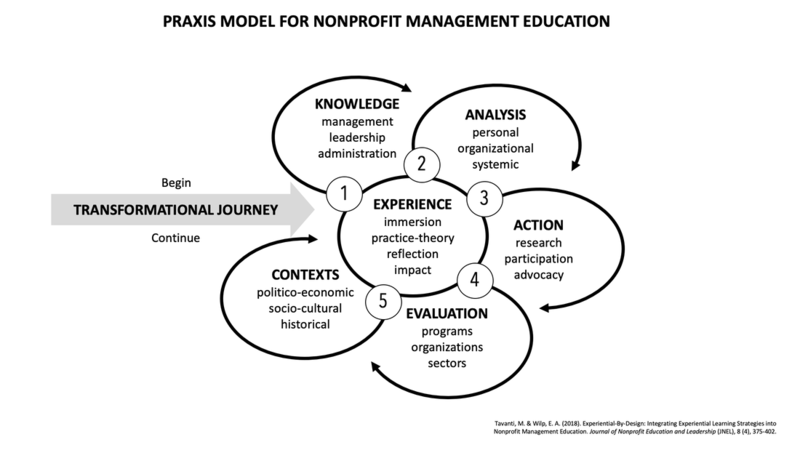 Read more about Dr. Tavanti's Methods for integrating teaching with experiential learning in nonprofit management education and global leadership development here. My teaching style and methods reflect values recognizable in my own hybrid identity as American, European and international professional. I take the liberty of making stereotypical analysis of my own mixed identity to explain the values of my teaching approach. The "American" values of my teaching can be recognized in my ongoing interests in technology and by making the classroom a participatory learning environment. The "European" teaching values are also central when we realize that methods and technology are empty without good quality content, good analysis and critical thinking. 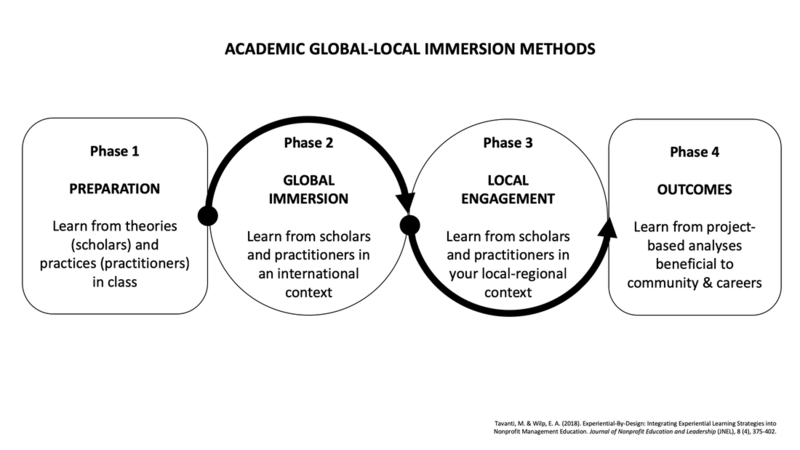 The "international" teaching values in me are present in my drive to link the local with the global and bringing back the international "at home". The international is also evident in my conviction that our academic studies and careers could greatly benefit if we were to look more closely to the field of international development. After all, what is the use of our best thinking if its is not to benefit the most pressing problems in the world? I believe that innovation, entrepreneurship and even profit can benefit with a higher degree of international service. The "professional" values of my teaching are vivid in my constant seeking of pragmatic applications and solutions that help careers and the real world. Even before academic quality, my professional background and international experience as a practitioner is what my students say they appreciate the most in my teaching. 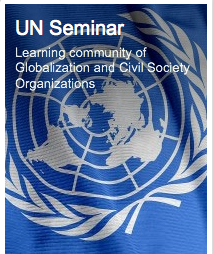 The UN SEMINAR learning community is an open forum associated with the International Public Service graduate seminar on Globalization and Civil Society Organizations. The issues and dimensions of globalizations are critically considered from the perspectives of the United Nations’ Agencies, Councils and Programmes. Through agencies analysis, case studies, book reviews and news critical analyses the forum provides contemporary insights for understanding global and international organizations. A specific focus is given to the role of community-based organizations emerging from social movements as active responses to contemporary issues primarily in the fields of international development. Other interrelated themes include the review of the UN system in the area of peace and security, human rights, humanitarian affairs, international law, higher education, health and sustainability. 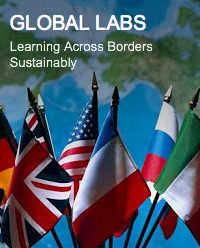 The globalization phenomena are critically reviewed along intersecting elements in governments (states and international relations), economic development (labour, capital, sustainability, human development, technology and resources) and social affairs (humanitarian interventions, human rights, cultural rights, indigenous rights, women rights). I designed and taught a number of courses to prepare individuals to the profession of international public service applied to governmental agencies and non-government organizations. The following is a sample of the courses I designed in dialogue with colleagues and professionals. The background I have in international development and my studies in globalization and international ethics have been important in the selection of the topics, readings and competencies. Course Description: This course provides an overview of theories and approaches to sustainable social and economic development and examines the roles of Non-Governmental Organizations (NGOs) as well as methods of evaluating their impact. The purpose of the course is to learn about the crucial role that NGOs play in building and strengthening sustainable communities and societies in developing countries. Learning Outcomes: The overall objective of the course is to recognize the correlation between development and sustainability in light of human rights, social justice and social responsibility. By the end of the course the student will be able to: 1. Recognize major theories and approaches on international development; 2. Recognize best strategies for sustainable community development; 3. Identify contemporary approaches of capacity building for leadership, organizations and institutions. Course Description: This course introduces students to the practices and theories of global civil society organizations (CSOs). Globalization of economics, politics, technology and culture is critically reviewed as a threat and opportunity for NGOs and CSOs. 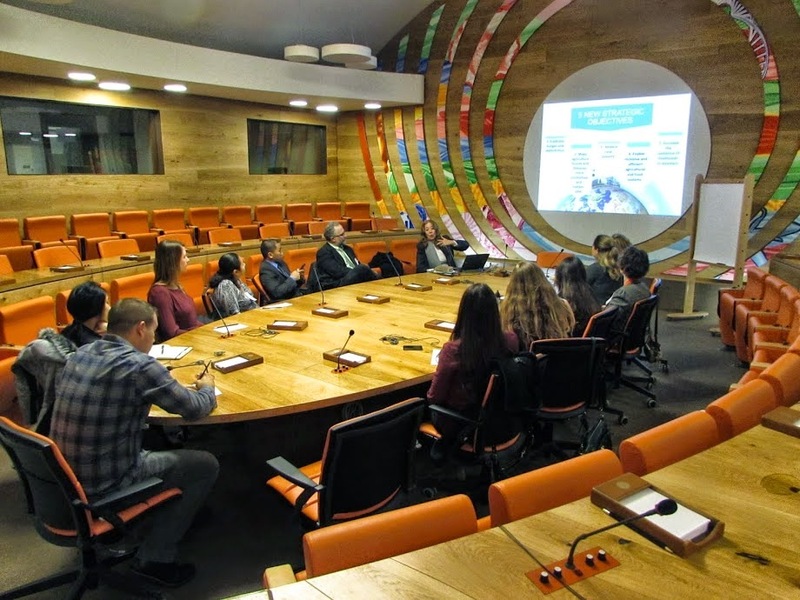 Students learn about network analysis of civil society in relation to the United Nations, international organizations and transnational movements. Learning Outcomes: 1. Critical understanding of current theories and trends of globalization in relation to global governance and international public service | 2. Recognition of the central mandates and role of the United Nations in achieving global security, socio economic development and human rights through inter-sectoral partnerships (ISPs) | Recognizing both the potential and obstacles for democratic participation and accountability of the growing global civil society | Developing skills in controversial debates, organizational network analysis, best practice analysis. Course Description: This course examines management skills and trends of international nongovernmental organizations (INGOs), Through specific case studies in the fields of international public service, development and emergency, students learn about current techniques for effectively manage the projects, relations and operations of NGOs working in international contexts. Learning Outcomes: 1. Understanding contemporary challenges and best-practices in NGO management | 2. Analyzing nongovernmental organizations in their mediating role with foundations, civil society organizations, businesses, public agencies and intergovernmental organizations | 3. Developing project management skills applied to international development and international public service. Course Description: International Relations and Conflict Management offers reflective practices and concrete directions for creating constructive solutions to interpersonal, inter-group, and international conflict. This course is a valuable opportunity for students to learn about interpersonal, intercultural and intergovernmental conflict prevention, management and resolution. The broad field of international relations is explored through the role of governmental and non-governmental approaches to conflict management. This course focuses on theoretical foundations and practical implications connected to the use of diplomacy, negotiation, mediation, peacekeeping, peacemaking and peace-building in order to solve and prevent international conflicts. The purpose of the course is to analyze contextual and managerial variables correlated to the success or failure of conciliatory missions and preventive efforts. The escalation of global terrorism, the proliferation of weapons of mass-destruction, and various post-WWII conflicts will be used as case studies to explore the role of international organizations, multilateral coalitions, and international dialogue to deescalate violence, enhance security and promote peace. This course is a combination of mini-lectures, seminar format discussions, and group presentations. Guest speakers will represent a variety of approaches and experiences in conflict management. Course Objectives: 1. Introduce students to classic and contemporary theories of international relations in connection to conflict management | 2. Understand and identify the political, economic, cultural and social dimensions of conflict at the interpersonal, inter-organizational and international levels | 3. Recognize the role of nonprofit and non-governmental organizations, intergovernmental organizations and civil society organizations in mediation, conflict resolution and prevention. Course Description: This course provides the necessary conceptual foundation and practical skills for leading, managing and communicating in a cross-cultural and diverse working environment. Students learn intercultural competency through applications and examples on international relations and human resource management. Learning Outcomes: 1. INTERCULTURAL AWARENESS & KNOWLEDGE: Demonstrates increased awareness and knowledge of the central role that cultures play in international communication, global management, and human resource management in diverse and multicultural settings | 2. CULTURAL DIVERSITY COMPETENCY: Demonstrates effective strategies and competencies to relate, respect, dialogue, and negotiate with culturally diverse organizations and people in appropriate social and organizational contexts | 3. CULTURAL INTELLIGENCE & COMMUNICATION SKILLS: Demonstrates a development in his/her cultural intelligence, global leadership capacity, and professional skills for effectively managing and communicating in international public service and/or cross-cultural contexts in the United States and abroad | 4. INTERNATIONAL HR COMPETENCY: Demonstrate capacity to recognize the intercultural and diversity challenges in international human resource management while offering both culturally and managerial intelligent alternative solutions. Course Description: Ethical and socially responsible leadership are core dimensions in the education of local and global public servants. This course provides students with the essential framework for personal and professional ethical decision making applied in the context of diverse workplaces and international organizations. Through lectures in ethical theories, case studies in applied ethics, and specific assignments, students clarify their personal-professional values, assess their moral intelligence, and enhance their ethical leadership integrity. Students learn about economic, political, social and environmental responsibility as applied to contemporary practices of professional and international public service. Learning Outcomes: 1. Increasing global awareness and social engagement: Appreciatively and critically review the values and practices of global citizenship, socially responsibility and sustainability | 2. Becoming aware of your personal philosophy: Developing your moral intelligence by identifying, understanding and developing your own value system and ethical frameworks | 3. Learning to recognize issues with ethical content: Understanding different ethical frameworks, especially from a cross-cultural perspective. Learning about value leadership and moral decision making in public and private life | 4. Learning to ask the right questions when confronted with ethical choices: Developing awareness of those habits of mind that may encourage moral dialogue on important personal, professional and international issues. ​Dr. 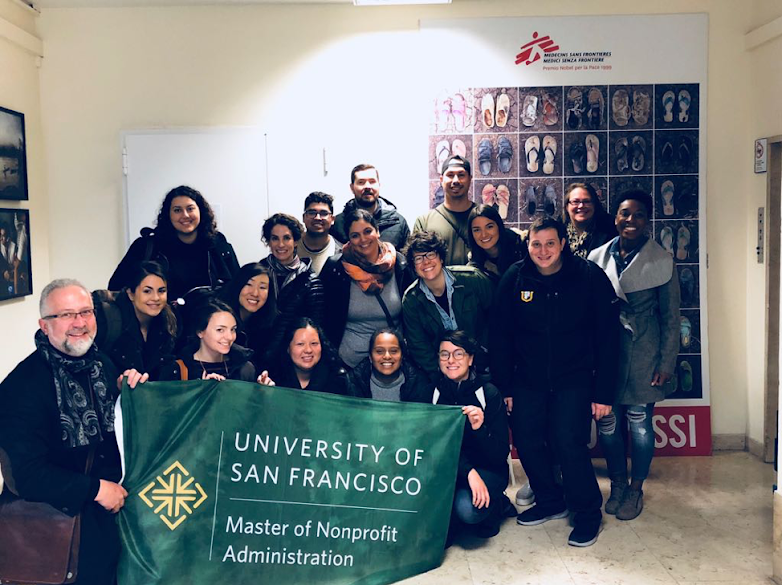 Tavanti with graduate students participating in the Refugee Service Management course associated with the Academic Global Immersion Program in Rome, Italy. Below: Meeting with Doctors without Border (MSF) in Rome, Italy. Outside their offices in Rome. January 2018.